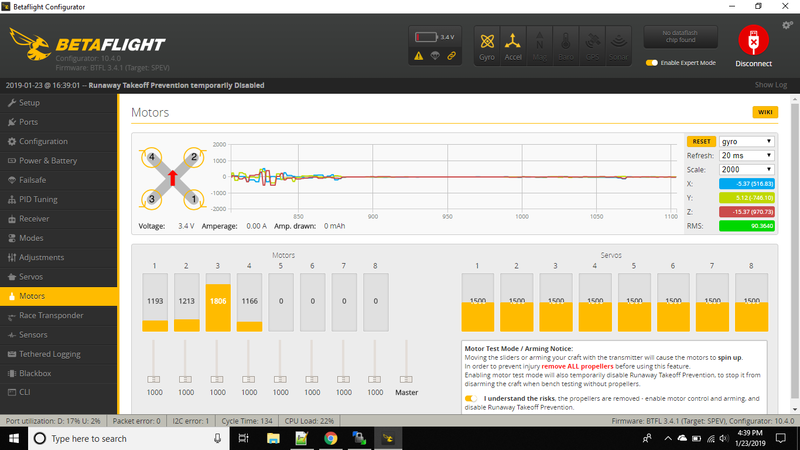 I have a strange problem with one motor throttling up way faster than the rest on my Tiny Whoop motor.. Anybody have any ideas? It only happens when I throttle up via my PPM RX (Flysky Micro Pro) and doesn’t happen when I use the motor throttle tab in the beta flight gui. My trims seem good and balanced, and it doesn’t seem to matter what mode I am in.